Hip hop music has latched onto a beautiful angle. More and more artists are stepping up their game to produce music that is amazing and inspiring. But everybody knows that when it comes to rap music we cannot help but compare the quality of the work being produced nationally with that being made internationally. Our local artists are working very hard to make sure that they gain respect and recognition from their fans. But how do the fans react to the music they receive? One aspect that is aligned with making sure that a musician’s work is appreciated is through the medium of music videos. Visual appeal is one of the quickest ways to grab the audience’s attention. A person may hear a song on the radio but if they see a music video they are more likely to remember the song, due to their mind being stimulated visually. Artists can capitalise this by creating music videos that the audience will relate to. By doing this viewers/listeners are taken to a different level completely. Let us be honest, how many times have you seen a video with a boring concept? Yes it takes a lot of money to create and shoot a music video but there are so many ways into being creative with a low budget. It is all about having unique scenes and playing around with a story angle, the song should have a plot. 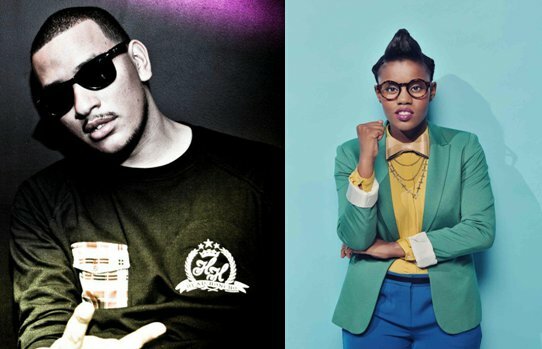 We have artists like AKA with videos such as ‘Victory Lap’, which features a fresh angle with different motions. Another good example is ‘The Toast’ by DJ Dimplez which features JR and George Avakian where it shows a fresh approach to the concept of girls and guys chilling out and having fun. We also like Toya DeLazy with her song ‘Are you gonna stay?’ Her video is captivating, showing us what real life is like, showing that you can incorporate having fun in a music video by using ideas such as road trips and being crazy with a bunch of friends. Her fans can relate to this presentation because this is what they at least a little familiar with. “With great power comes great responsibility.”As soon as you decide to become an artist you have some responsibility to create work that will inspire the audience. People want to see something different when it comes to music videos besides naked girls around money being flashed around. DON’T BLAME IT ALL ON THE HIP HOP!